Advice is collected here from a Xhorse group via Facebook https://www.facebook.com/groups/304426429957190/ Hope it can help you out. You have two options to read the password on W202, w208, w210. you can remove EZS and read HC05 dump with Orange, Xprog or ETL etc. 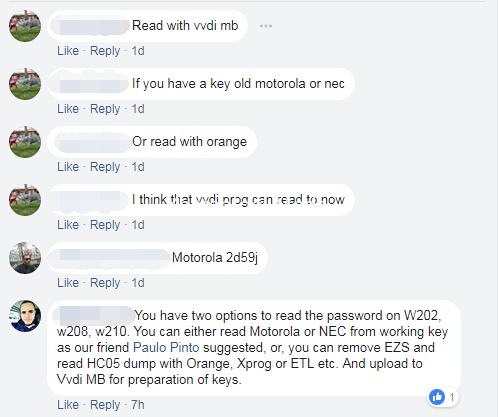 And upload to Vvdi MB for preparation of keys.